Summer camps are very popular among kids and every summer you will find them hankering you to let them go for the summer camping with their friends. These camps are an essential part of growing up for the kids. They are not just entertainingt and fun but also teach them some lifesaving skills and develop love for the outdoors. 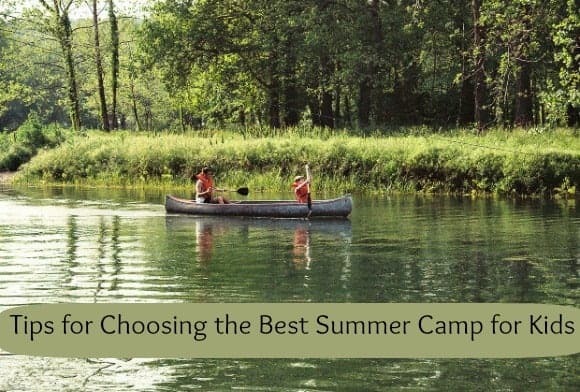 Let us find out on how you can pick the best summer camps for your kids. Research before finalizing- Before you finalize any summer camp for your children, it is a must to do some homework and fine out more about the camps. There are a large number of organizations offering these camps and some of these are privately run. Get feedback from those who have already been there and read reviews about the camp. Talk to other parents to find out what they thought of the camp you are considering. Different camps – Camp has come a long way from the general types when we were kids! Today you will come across a lot many options for different camps like some focus just on arts, others are for the scientific minded kids, some are on music and theater and some on sports. Every camp has a different theme today. So, just make sure that your kids join the camps that they are interested in. Do a background check –There are many summer camps that will boast a lot about their activities but fail to meet the state standards. Make sure that the camp is accredited by the American Camp Association and only the most professionally run camps qualify for ACA. Consider your budget- Some summer camps can be very expensive, so make sure you look into those that fit into your budget. Don’t even start looking outside your budget, because you may be tempted to spend more on a great camp that you see that is way out of your price range! Your child doesn’t need to go to the fanciest camp to have a great time! Keep your child in the picture- Remember, your child is the one going to the camp, not you. While you will set the ground rules and do the important research, make sure you include your child in the decision process! Try coming up with a handful of camps that fit into your budget and meet your other requirements, then let your child make the final decision. Summer camps provide lifelong memories and therefore should be chosen very carefully and sensibly. At best, a wrong choice would mean wasting of money and time. At worst, your child could experience bullying at summer camp and have take a devastating hit to self-esteem. Try speaking to your child’s teachers at school to to get an idea about the best fit. Let your child have an awesome time this summer by sending him to a summer camp where he will learn something and enjoy every moment spent there. Kid’s Health Parenting Tips: Read This Before You Treat Your Child’s Fever! The only summer camp my kids have been to is Girl Scouts and I went with them! This is a great guide for choosing the best camp and getting peace of mind when doing so. thanks for the tips! i participated in a twitter chat about camps and made me realize how little I know about them (especially since i’ve never been to one). thanks for adding this to my must-reads! Never knew about the ACA, good to know we can research the camps before we decide! This is such a big decision and one which should be done with plenty of research. Great tips. This is very helpful. I was just reading that in France they start summer camp much earlier than us. I never did the camp thing, myself, but I can see easily how it might be an amazing and empowering experience. I not a fan of summer camps. Well, I’m just not a fan of leaving my child in someone else’s care in general. There are too many stories of molestation, and it normally happens by people you know and trust.